– Consultations to conclude by mid-Nov. The first official stakeholder engagement on the National Mineral Sector Policy Framework was hosted earlier yesterday, at Cara Lodge. 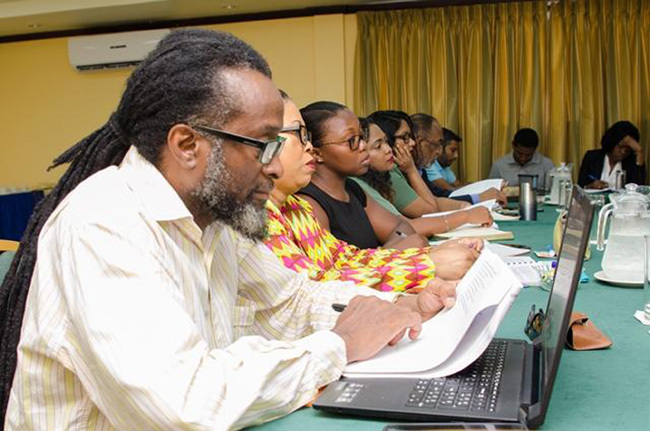 Head of the three-member National Mineral Sector Policy Framework Committee, Sherwood Lowe, said one of the requirements for drafting the Policy is the inclusion of stakeholders in the industry. Lowe told the Department of Public Information that while there have been other engagements on the policy framework, they have not been as “big” as this one. He noted that 10 organisations with an interest in the sector were invited to attend. The committee head stated that the consultations will run until mid-November and expressed hope that by then “a final document that everyone is comfortable with” is produced. “It’s a discussion paper and we emphasise on that. Nothing here is cast in stone and therefore based on the feedback and the discussions, the document will be modified,” Lowe remarked. Representatives of organisations such as the Environmental Protection Agency, Guyana Lands and Surveys Commission, Ministry of Finance, the Green State Development Secretariat and the Guyana Women Miners Association were present at the workshop, which was lauded by several of the participants.